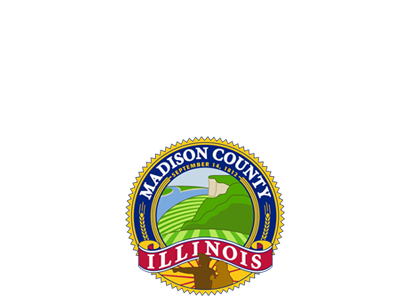 EDWARDSVILLE — Madison County is set to connect persons experiencing homeless with services and goods later this month. Madison County will hold its 11th annual Project Homeless Connect from 10 a.m. to 3 p.m., Tuesday, Jan. 29 at City Temple Church in Granite City. The program counts the number of homeless persons — men, women and children — throughout the county and provides free services. David Harrison, homeless services coordinator with Madison County Community Development said the U.S. Department of Housing and Urban Development requires local agencies to conduct a survey every year to determine the number of homeless in each jurisdiction throughout the country. The results from the homeless connect are used to help determine grant funding for Community Development and local service providers. Madison County Partnership to End Homelessness, which is comprised of more than 40 agencies and individuals, will provide a wide range of services to those literally homeless and persons experiencing a housing crisis. “There will be services available including everything from access to housing and jobs to a free meal and haircuts,” Harrison said. More than 100 volunteers and service providers will be present to assist in the distribution of food, beverages and clothing. Representatives will also provide a wide-range of services that include substance abuse and mental health counseling, legal services, employment assistance and other social services. Those attending will also have the opportunity to receive medical exams, HIV/AIDS screening and other health services. Harrison said that last year there were 146 persons literally homeless counted in Madison County and 40 percent were children. Rides to the event are free. Call the Homeless Hotline at (618) 296-5300 or visit one of the following pick-up sites to get a ride for between 9 a.m. and noon. Event time : 10 a.m. – 3 p.m.
For more information or to volunteer, email mlcastillo@co.madison.il.us, or visit the Madison County Partnership to End Homelessness Facebook page at https://www.facebook.com/EndHomelessnessIL/.